Capital One finally added airline transfer partners to its lineup of credit cards just last month, which means that its Spark Miles Card for Business’s limited time offer is particularly enticing. We don’t cover a ton of business cards here, but if you run any business large or small (even something as tiny as a photography side hustle could qualify), they’re a great second “track” that you can use to accrue points for travel. 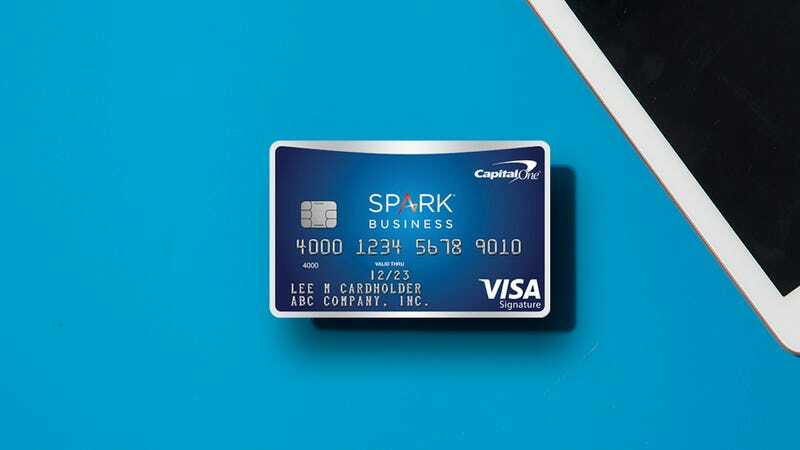 As rewards cards go, the Spark Miles for Business is about as simple as they come. You’ll earn two points per dollar on all purchases; never more, and never less, with no limit to the number of points you can earn. Even better, you’ll earn you 50,000 bonus points when you spend $5,000 in your first three months, and an additional 150,000 miles if you spend $50,000 in your first six months. Those spending thresholds are clearly aimed at businesses, not individuals, but the offer’s only available through January 28, so you only have a few more weeks to get in on it if you think you’ll be able to hit the requirements. Just note that the card does carry a relatively small $95 annual fee, which is waived in the first year. The Spark Miles for Business isn’t a flashy card—it won’t get you into airline lounges or earn you status at any hotels—but it nails the basics, including no foreign transaction fees, free employee cards, 90 days of purchase protection, and perhaps most impressively of all, primary rental car insurance. Obviously, none of those are the U.S.-based airlines, but these partners could come in handy for international trips, and some even offer potential savings on domestic flights. For example, Air France’s Flying Blue program often has great redemption rates on U.S. Delta flights, and Air Canada Aeroplan miles can save you points on United flights. 200,000 miles (really 300,000, since you’ll earn 100,000 from your spending alone if you charge $50,000 to the card) is a lucrative sign-up offer if you have enough business expenses to earn it, and that’s especially true if you make the most of your airline transfers. The Points Guy values Spark/Venture miles at 1.4 cents each for this very reason (meaning 200,000 miles would be worth about $2,800), ben even if you only use the dead-simple Purchase Eraser feature, the bonus would be worth $2,000. It’s definitely not the right card for every person, or even for every business, but with a solid suite of perks like 2x miles on every purchase, primary rental car insurance, the Spark Miles for Business is a versatile, affordable option.